Besides watering and fertilizing, mowing is a practice that we have to do when taking care of your lawn. Nowadays, instead of using the manual lawn mower, most of us choose a self-propelled mower or push lawn mower to save time and effort. However, there are many hidden dangers when using a lawn mower that has engine. 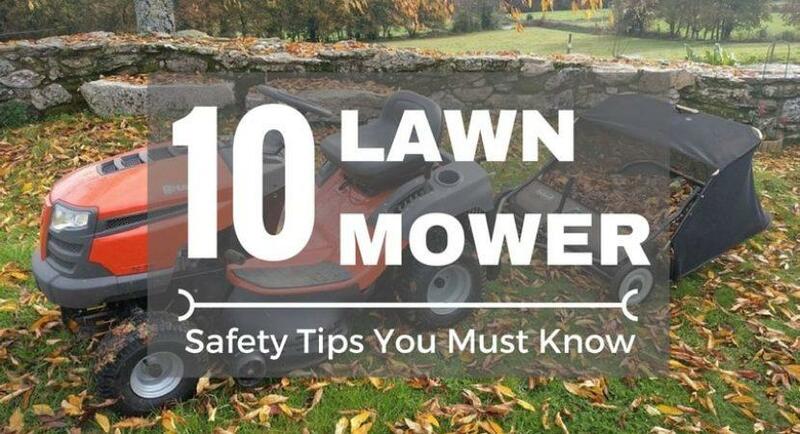 In this article, we would like to introduce some safety tips when using lawn mowers. Let’s check them out! The dangers when mowing can come from various sources: from the equipment itself, from our carelessness or from other external factors. The tips below have covered almost all of common situations when mowing. 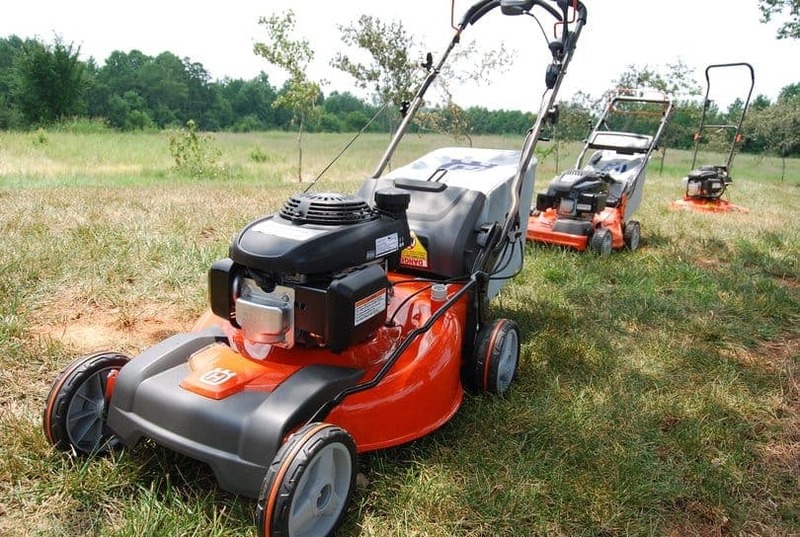 Indeed, when choosing a lawn mower, we should pick a product from a well-known brand. There are always reasons for the reputation of their products. It’s not just because of the nice appearance and the advanced technology they have used on it. It’s also because of the smart and safe design. It doesn’t mean that products from normal brands have an unsafe design, but they may have less safety features than those from well-known brands. We have to pay more attention when using it. Every time you carry out a mowing session, please remember to wear full protective gear including gloves, sturdy shoes, long pants, coat, and goggles. 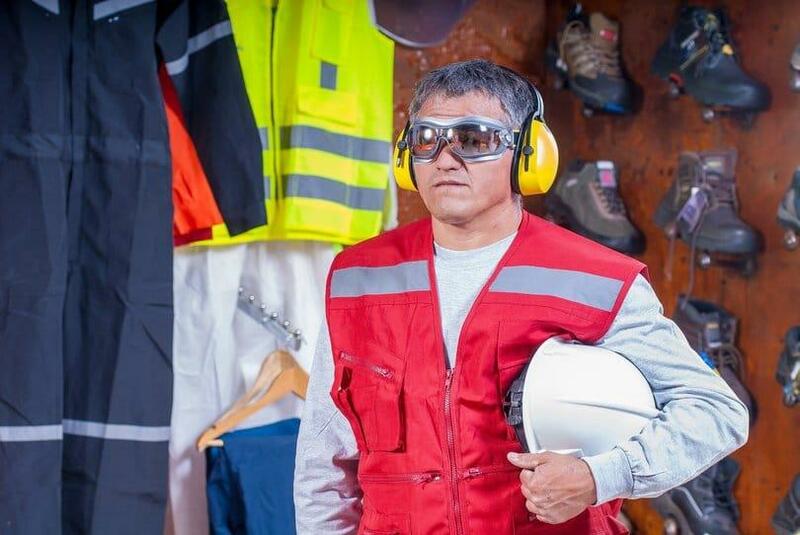 We usually hear experts recommending us to wear them when mowing, and it’s sure that they can protect you in unpredictable cases. Therefore, please remember to follow this rule when using a lawn mower. Only cut grass on a sunny day when the lawn is dry. It’s not just related to the health of the grass after the mowing session. It’s also about respecting the most basic safety rule when using electric devices: never mix electricity with water. Moreover, wet grass makes you slip easier and hurt yourself. So, do not mow the wet grass, even with a reel mower. In fact, mowing at night will not cause any effects on the health of your grass. However, it will relate to your safety. At night, despite how many lights that you have in your garden, there is always the risk of tripping and falling when mowing. We never know what would happen especially in the case when the lights go out. 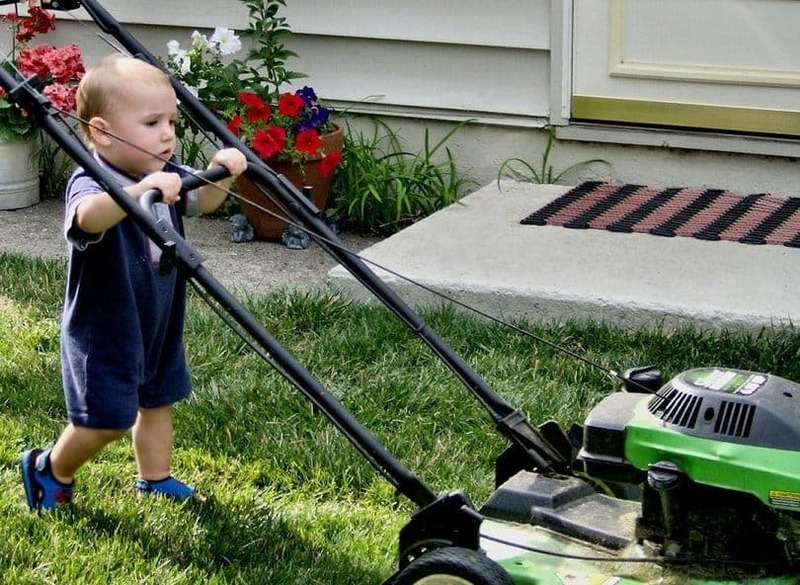 According to U.S. Consumer Product Safety Commission, there are more than 600 cases of children riding or playing with mowers and resulting in amputation. This number is not small at all, and it reminds us to be more careful when mowing with children around. Being aware of where your children are and have them stay away from the lawn mower. At the same time, teach your children about the dangers of the lawn mowers, so that they would stay away from them even when they are not in use. Before mowing, survey your yard and remove all small objects including children toys, twigs, debris, rocks, stones. Spinning blades in a high speed can bump into these objects, leading to unpredictable accidents. That’s also the reason why you should wear full protective gear in case there are leftover items on the surface. Each device has its own instruction, so you should take a look at the instruction before using your new lawn mower. In the instructions, manufacturers will show you how to use it, show you the safety features, and show you much helpful information that helps you to maximize the advantages. Moreover, reading the manual also helps you understand more about the equipment in order to teach your children about the dangers of them. It may take just around 5 or 10 minutes to read this manual, so don’t skip it! 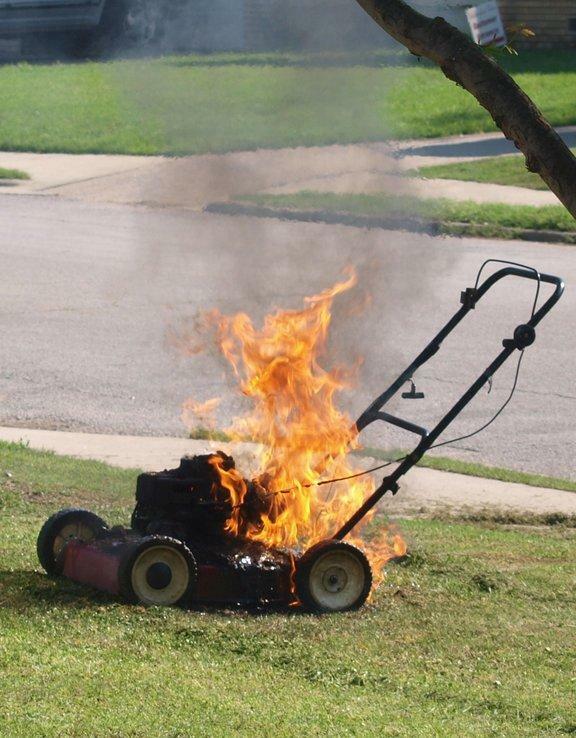 Some lawn mowers use oil or gas as fuel, so be careful when refueling the machine after mowing, especially when we mow on a dry and sunny day. The hot engine can be one of the dangerous resources causing fire and leading to injuries. Therefore, before refueling, make sure that the engines are stopped and cooled down for at least 15 to 20 minutes. Though mowing can be a boring activity, try to keep your mind on the track. Avoid talking on the phone, texting someone, drinking alcohol or even listening to the music when mowing. A little distraction can lead to a serious accident anytime especially when you have your children around. Maintaining your lawn mower is not only for long-term use, but it’s also for your own safety. Regular engine checking can help you prevent your lawn mower from overheating or suddenly breaking. During the maintenance process, you can remove the debris sticking in the undercarriage and the muffler, and the old parts before they suddenly break. It seems that there are lots of things to remember before you starting mowing to keep yourself safe, but please remember that your health is very important, and it’s worth your effort. Only small action and attention can save us from the serious issues that all of us do not want to encounter. Besides that, the tips in this article are useful, and they are very easy to apply. So, make sure that you don’t miss any of the tips, and stay safe..